Process Serving: Anyone & Anytime! Legal Retrieval Services and its coveted process servers are uniquely qualified and have an unlimited capacity to serve legal documents on any corporation, individual, government entity, or law firm, 24 hours a day, 6 days per week (excluding Sunday). We serve process of all required Federal and State legal documents, including summonses, complaints, citations, document production subpoenas, deposition subpoenas, trial subpoenas, letters, orders, motions, etc. Every process serving request is always performed immediately (SAME-DAY / SUPER RUSH). Affidavits of Service and Proofs of Service are provided to clients within 24 hours (within hours of service, if specially requested). We calculate and layout witness fees concerning Deposition Subpoenas and Trial Subpoenas on behalf of our clients so that such requisite services can be performed more expeditiously. Process Serving: Same Day, Anywhere! “Our Forte!” Legal Retrieval Services, Inc. can unequivocally serve any document at any location in all 50 States, any state/county, all cities nationwide, and any town in the country. As always, any and all nationwide requests are successfully performed immediately, on a SAME-DAY / SUPER RUSH basis. Our uniquely developed and nurtured association with partner/associates nationally allows for us to easily meet client demand for expedited service anywhere in the United States. We calculate and disburse witness fees for client convenience. As always, Affidavits of Service and Proofs of Service are provided to clients within 24 hours of service perfection. What may seem to be a daunting and overwhelming task for so many clients is effectively no challenge at all for Legal Retrieval Services, Inc. We are a proud and very active member of NAAPS and NYSPPSA. We ALWAYS answer the phone LIVE! Clients and prospective clients never have to leave a message. Emails are replied to within minutes. Requirements and instructions are acknowledged and processed immediately after clients provide them to us. 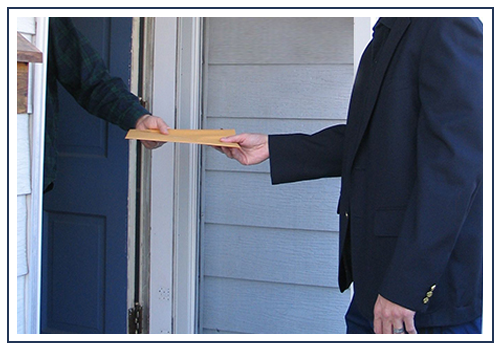 Statuses are given to clients DIRECTLY from the process server in the field. Live contact is guaranteed 24 hours every day. No more waiting or wondering! Legal Retrieval staff personnel always respond instantly and in-person, as should be expected from a professional and attentive vendor source. Contact us now to make an inquiry or place a process serving order.